If you haven’t heard of Link Interactive, you are not alone. 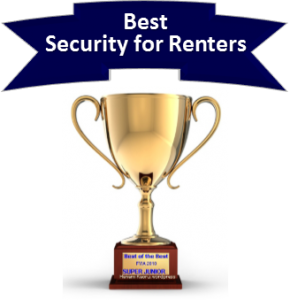 But, you will….as this up and coming DIY security company is making its mark as one of the best home security values in the industry. They are carving out a reputation by providing quality products, outstanding support and extremely competitive monitoring rates. separates them from the pack is the fact that they offer such a comprehensive equipment line-up. 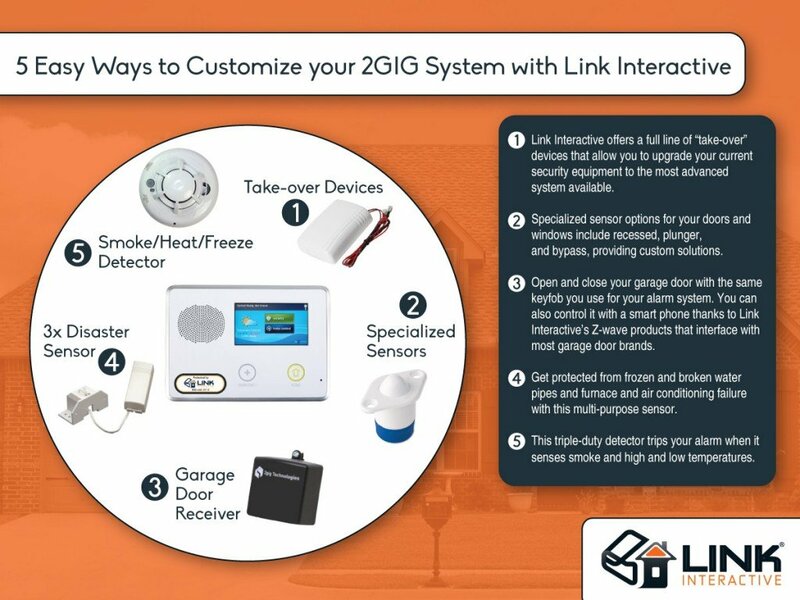 In my opinion, Link Interactive leads the way with innovative sensors and solutions for virtually any DIY customized home security installation scenario. 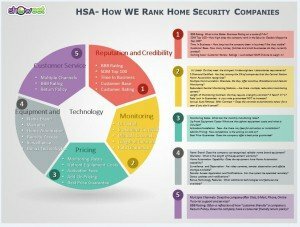 Unlike most DIY wireless security companies, the parent company for Link Interactive, Mountain Security, has over 60 years of traditional professional installation experience (see Link Interactive Review)that enables them to offer a wider variety of security solutions that will meet the needs of even the most demanding customers. They do not limit their offerings to just the standard equipment of one equipment vendor, but are able to draw from their experience to offer and support additional compatible devices that will enable a more ambitious do it yourselfer to better customize their security system to their own needs. 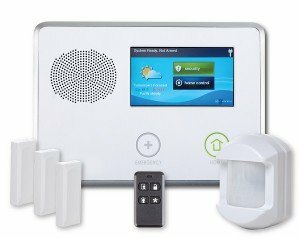 While they offer the full range of home automation and home security equipment that you can find in almost any of best DIY wireless home security companies, Link Interactive goes a step further to bring you some unique and more specialized product offerings that will enable you to customize your system and leverage existing equipment if you already have a home security system. Let’s take a look at some unique sensors that are offered that provide specialized security solutions and help you get the most value out of your security system. 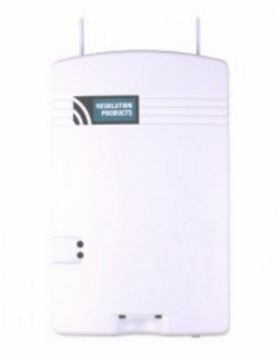 While wireless systems have greatly simplified the installation of home security systems by eliminating the need to pre-wire homes or drilling, cutting holes in the walls and fishing wires…some people are concerned with the aesthetics of installing visible transmitters on all the doors or windows. Link Interactive offers a couple of unique sensors to address these concerns. 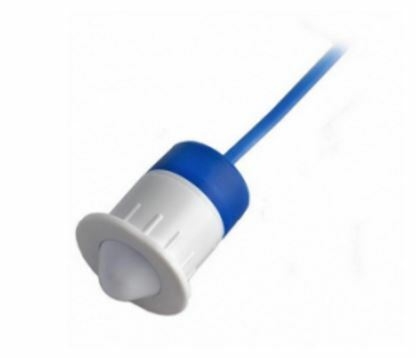 While it does require a little bit of drilling, this compact 2.5 “ transmitter is embedded in the door or window frame and a magnetic contact is placed in the door or window. It’s not as easy as screwing in a contact, or sticking it on with industrial double stick tape…but, it provides a much more polished installation by concealing the sensor and preserving the existing aesthetics of the doors and windows. But what if I have metal doors or a sliding glass door? Well, Link interactive has you covered there as well. While magnetic contacts don’t work with metal doors, and you don’t want to risk drilling into a sliding glass door, a wireless “plunger” style contact is the perfect solution. This contact requires just a single hole drilled through the door frame. It does not use magnetic contacts, it is activated when the door is closed and the plunger (roller ball) is depressed and makes contact. Of course, function can sometimes take priority over form. While most households want to arm the doors and windows for protection in the night time hours….what happens when you have to let the family pet out to do it’s business in the middle of the night…or leave early to catch that 5AM flight? Traditionally, your alarm needs to be disarmed-which involves the requisite beeps and system status notifications…thus awakening the lighter sleepers in the household. Link Interactive offers a micro sized door contact which can be temporarily bypassed (once per arming session) at the push of a button-without disarming and re-arming the security system. The system will automatically re-arm when the door is closed….without awakening the rest of the family! While many DIY wireless security companies will basically just tell their customers to replace existing equipment with their own wireless sensors…Link Interactive has taken a more customer centric approach and encourages re-purposing existing equipment when it is appropriate. They offer a full lineup of “take-over “ devices to enable the end user to leverage existing equipment and combine it with the most advanced and feature rich systems in the industry. 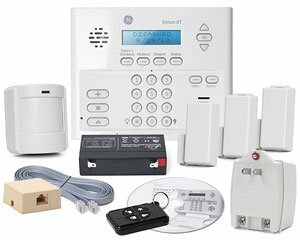 Got a hardwired system but want to update it and get the latest home security and home automation features…without breaking the bank? Well, with Link Interactive you don’t have to start from scratch. With the TAKE Super Switch you’ll be able to tie in up to 8 hardwired zones and convert them to wireless frequency. That means all your hardwired doors can most likely be taken care of while not having to purchase a bunch of door contacts. 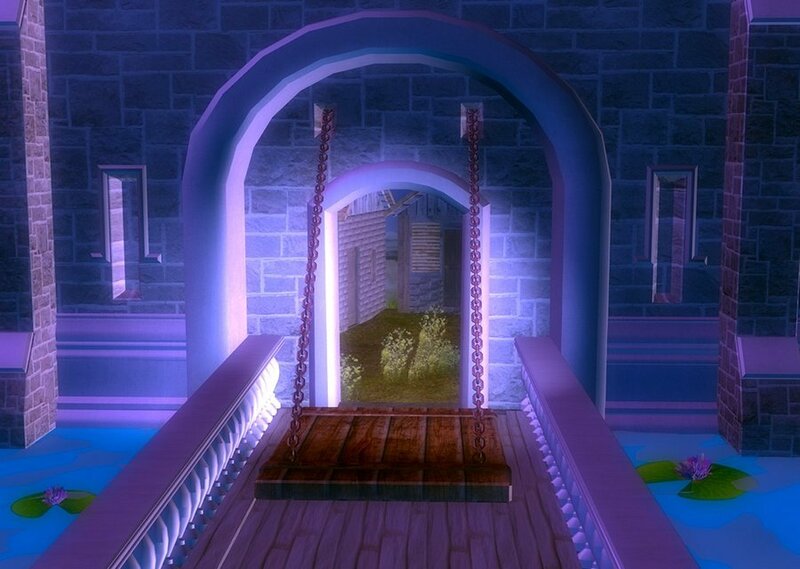 Got a big house…and need more zones? No problem-you can add up to 4 additional modules. Well..what if you have a wireless system from a competitor that you want to upgrade or convert? You don’t necessarily have to purchase a bunch of new sensors. Link Interactive has wireless converters that will convert signals from DSC and GE to signals which are compatible with the 2GIG GO!Control. It should be noted that neither GE nor DSC wireless heat and smoke detectors are compatible with the 2Gig Go!Control panel. Already have interconnected hardwired smoke detectors…and want the fire department notified automatically in the event of a fire? This is now possible with the Link Interactive Firefighter Module. Instead of having to install wireless smoke detectors on each floor to supplement your existing hard wired smoke detectors, now you can install a single module that will connect all the UL smoke detectors in the home. While not all specific to Link Interactive, these devices offer exceptional value by serving multiple functions and provide the most cost effective solutions. Most security companies require multiple sensors to achieve the same level of protection….potentially costing you hundreds more in up-front installation expenses. The 2GIG Smoke Detector actually serves the function of three devices…a smoke detector, a rate of rise heat detector and a low temperature freeze detector. 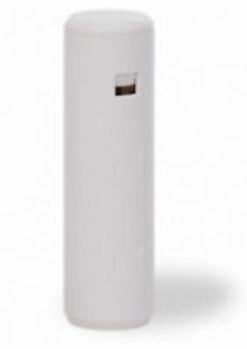 It houses a photoelectric chamber as opposed to the cheaper ionization smoke detectors found in department stores. While it is far less problematic and prone to false alarms, care must still be taken for proper placement. Additionally, the sensor contains a heat detector which recognizes both fixed and rapid rate of rise temperature changes. It will activate at 125° F or when the temperature rises 10+ degrees in less than a minute. This is critical to detect “flash fires” as opposed to a slower burning fire that creates a smoldering smoke that is more readily detected by the photoelectric cell. And last, but not least…the same sensor protects against frozen pipes by alerting the system when the temperature drops below 40°F for more than a minute. Installation of this device is bit more complex if you want all three capabilities activated, as each feature must be assigned to a separate zone. But, the friendly folks at Link Interactive will guide you through the process and make it easy for you. Furnace or air conditioning failure- with a heat detector. 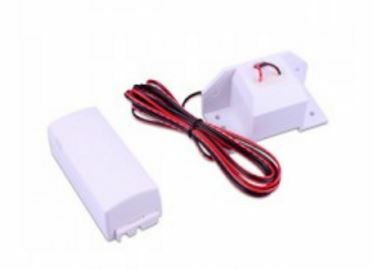 Want to control your garage door with the same keychain remote you use to control your alarm system? Well, just install the 2GIG Garage Door Receiver and it can be programmed into your 2GIG 4-Button Keychain Remote. If you are looking to be able to control the garage door remotely…Link Interactive has you covered there as well, with a full lineup of Z-Wave Liftmaster components that can interface with most garage door opener brands manufactured in the last 20 years. One of the unique attributes of Link Interactive is the fact that they are one of the few companies that can offer the best of both worlds -combining the 60+ years of experience with traditional, professionally installed and monitored home security systems, with a nationwide offering of the latest, cutting-edge, state of the art wireless equipment for the modern age do it yourselfer. 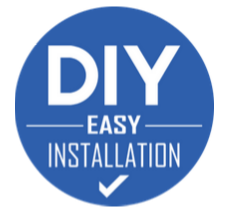 And not only can they provide the necessary equipment, but, they have the real world, hands-on field installation experience to support your DIY installation. Some of the more advanced custom installation scenarios may not be for everyone-especially the true novice or the technologically challenged. But if you are a bit more tech savvy and a little bit handy around the house….Link Interactive has the equipment and know how to help you install the security system of your dreams! Link Interactive is committed to providing the most comprehensive security equipment portfolio …and the “know how” to help you get it all installed right! call 866-302-6138 today-or visit their website for more information. Thank you for visiting. Please feel free to leave your comments on Link Interactive Leads the Way with Innovative Sensors and Solutions, below.